Dr. Ramadoss, consultant and Deputy Director of the Department of intensive care at Lyell McEwin Hospital, Australia, shares his views on critical-care trends in the Asia Pacific region (APAC). He focuses on the emerging trends in Australia and India in particular, based on his extensive experience in both countries. Australia being one of the highly regulated healthcare markets in APAC and India being one of the key emerging markets in the region, Dr. Ramadoss’ observations provide valuable insights on the challenges in these two extremely different markets in APAC. Balancing technological advancements with cost pressures is a major issue for critical-care units in hospitals. Shortening length of stay in ICU has become a major focus. This is driving innovation in the medical device and diagnostics fields targeting improved patient outcomes at lower costs and reduced labour. On behalf of pharmaphorum, Syamala Ariyanchira explores with Dr. Ramadoss how the critical-care field is currently shaping, balancing quality care and financial concerns. SA: What are the major trends emerging in the critical-care field globally? RR: Globally, the main concern is controlling cost while delivering results. Increasingly, all the hospitals – public as well as private – are going to focus on the results with lower costs. Technology obviously has played a major role in both improving the outcome as well as controlling the cost. SA: What are the most obvious technology advancements in the critical-care field? DR: I can share some examples based on my experience in India. When I started intensive care practice in 1994, there was very little use of ultrasound in the ICU. Now ultrasound and echocardiogram have almost become an extension of clinical examination. There is a huge market for portable and user friendly ultrasound machines, for which highly trained operators are not needed. Back in the 1990s, the hospital where I worked in India used to have just two machines in the radiology department. Recently when I visited them, after about 15 years, they had eight machines, one exclusively for ICU, one exclusively for the emergency department, and one exclusively in labour room. The benefits we have achieved due to advancements in radiology are phenomenal. Though it has some associated issues such as increased exposure to radiation, radiology is helping in the treatment of critically-ill patients tremendously. Another important advancement is telemedicine which gives the advantage of getting a second opinion with a click of a mouse. This is going to be important – not only in countries like India, but also in developed countries like Australia. SA: How is Asia adopting technological advancements? For example, how do you rate Australia in terms of integrating new practices to critical care? RR: In Asia technology adoption varies widely across the region. In India, for example, there are two different setups. At one end, there are the high-end private institutes. At the other end are government hospitals or small nursing homes and hospitals. Unfortunately, India does not have a clear definition of what constitutes an ICU. A 20 bed hospital with small operating theatres with two monitors may be called an ICU. In high-end hospitals, on the other hand, ICU standards are at par with most of the western ICUs. To my knowledge, there are no regularizations or accreditations. That is going to be a major issue in India as well as in many other Asian countries. So obviously patients will be paying an unnecessary price for ensuring quality of care. “Australia was one of the pioneers in critical care and is also a leading country in the critical-care field. Australia on the other hand, is geographically a big country with a small population – just about 23 million. Australia was one of the pioneers in critical care and is also a leading country in the critical-care field. While innovation is promoted, cost effectiveness is also given priority. SA: High quality care will have associated costs. How is cost for critical-care patients covered in Australia? Australia has a good model for covering healthcare costs. There are public and private hospitals. Public hospitals are completely free for Australian citizens and permanent residents. In fact, public ICUs are some of the best in the country. There is no difference in quality of care between public ICU and private ICU. Costs in private ICUs are covered through third party payers – primarily insurance. Medicare is another advantage. Foreigners and travellers need to have medical insurance, otherwise it will be very costly. 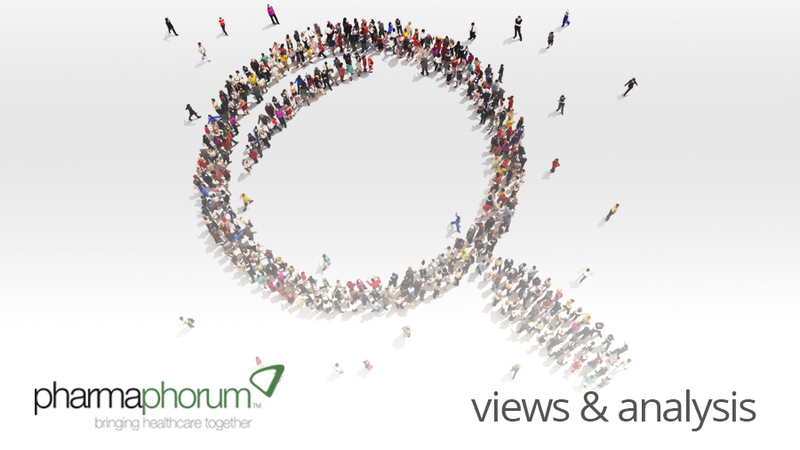 SA: What are the major challenges of critical-care specialists at present? How is it being handled today? RR: In my opinion, cost of care and resistant infections are the two major challenges. Cost of healthcare is rising. We don’t know how the huge cost pressures will be handled by both developed and developing countries. The second challenge is the threat from resistant infections. Emerging resistance to antibiotics and antifungals is a major worry. It is not just for prescribing medicines for infections. Physicians are often in dilemma while choosing surgical procedures. For example, decisions about a hip replacement procedure will always have an associated concern about the possibility of infections. Since we are not confident that the patient will go through the procedure without any infections, decisions about elective surgical procedures are difficult for all –doctors as well as patients. A patient may choose to put up with pain rather than to face surgery complications, which could even include death. SA: I guess this could be a particular concern in the case of HIV patients or those undergoing chemotherapy or transplantation as they are immunocompromised. RR: That is true. Emerging resistant infections raise several questions. For instance, if every transplant patient develops a major life threatening infection, cost of treatment can be huge. More importantly, this can put the entire transplant at risk. Concern about resistant infections was evident when I recently travelled in India, the amount of resistant bacteria and abuse of antibiotics were astounding. SA: There is a need to start treatment in the early stages of an infection. I guess, this can lead to prescribing antibiotics that could later turn out to be unnecessary. RR: Definitely. So whatever will help to stop unnecessary treatment with antibiotics will be great for critical-care patients. The goal is to control costs as well as to limit the use of antibiotics. Any method that will help to save one day in the culture – for example, a method to reduce culture test from 48 hours to 24 hours – will help to narrow or stop antibiotics prescriptions. Companies may have several economic concerns while developing such diagnostic tests. For example, tropical diseases such as TB and malaria are not major health concerns in developed countries. So return on investment is uncertain. However, opportunistic fungal infections are common in developed countries, and faster diagnostic tests for these can help in early decisions about treatment. Sensitivity and specificity of such new tests will be extremely important. For example, candidiasis is a leading fungal infection among immunocompromised patients. Candida albicans account for 60-70% of candidiasis. Resistance to common and cheaper antifungals, on the other hand, is common among other Candida species, such as Candida glabrata and Candida krusie. So a quick diagnostic test that can help to identify albicans with high sensitivity can eliminate possibility of treatment with for other species. That is helps to save costs and avoid unnecessary toxic effects. SA: What are the new trends with respect to critical-care chemistry – blood gas/ electrolyte monitoring, etc? RR: Blood gas monitoring is compulsory in every ICU. There is an increasing trend towards continuous monitoring. I am not sure if that is necessary, though. We are yet to be convinced that it influences the outcome without increasing the cost too much. SA: How are the automation and miniaturization trends in healthcare field are influencing critical care? RR: Automated culture systems are a significant progress in diagnosis. Even simple things such as automatic pumps help to reduce human error and also to channel nursing time to more specific care needs. Miniaturization is also very important in critical care. It brings less trauma to the patient as it is less invasive. For example, we used to send patients to the operation threater to have tracheotomy but now we hardly do that. Almost every procedure is done in the ICU itself. The advent of percutaneous procedures has helped to minimise cost as well as the work load of the doctors and nurses. Overall, these are helping in reducing complications for patients and in cost management by reducing the number of days in ICU. It also helps to reduce hospital acquired infections. Electronic filing is another welcome trend. Many states in Australia are moving towards a completely paperless system. They are investing heavily in training and rolling out this project. Soon day-to-day rounds, notes, observations, lab tests – all will be integrated. Dr Rajaram Ramadoss MD,FCIM,DNB completed his masters degree in Internal Medicine in 1993. He was awarded Diplomat of National Board in Critical Care by the National Board of Exams under the Ministry of Health, India in 2003. He moved to Australia and completed Fellowship in Intensive Care in 2004. He is currently Consultant and Deputy Director of the Department of Intensive Care at Lyell McEwin Hospital in Australia. Dr. Ramadoss’s experience in the critical-care field covers both India and Australia. He had been invited as faculty of International Critical Care Congress in India several times and has also presented papers in conferences on ARDS, Sepsis, End of life Care and CPR. He has also been active in contributing to the critical-care field in India by getting involved as an organizer as well as an instructor of several courses covering various topics such as Pediatric Advanced Life Support (PALS), Advanced Cardiac Life Support (ACLS), and Advanced Trauma Life Support (ATLS). He has also been an Instructor for Australian Resuscitation Council – Advanced Life Support courses since 2010 in Australia. What are the major trends emerging in the critical- care field globally?